Some bus drivers said they have had to wear adult diapers on the job. CT Transit management say they will work with the bus drivers union to form a bathroom committee to look at ways to increase bathroom access on routes for drivers in some areas. Relief might be on the way for CT Transit bus drivers who say they lack access to bathrooms. The problem has been the focus of an NBC Connecticut Investigates exclusive. Hundreds of CT Transit bus drivers have said the bathroom issue has led to situations in which drivers having a "personal relief" emergency have no choice but to relieve themselves wherever they are, including while they are sitting in the driver’s seat or out on a public on the side of the street. 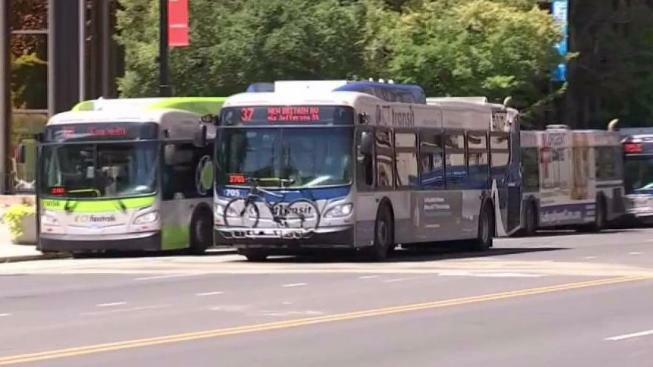 Since NBC Connecticut Investigates broke the story there have been protests, with drivers saying there is often no time or place to find a restroom on their routes. Some drivers said they avoid drinking water while others said they are even wearing adult diapers on the job. "Now that I know about it, I'm looking forward to sitting down and figuring out the issues," said Cole Pouliot, general manager of CT Transit. This week, there was somewhat of a breakthrough between CT Transit management and the members of the Local Amalgamated Transit Union (Local 425 ATU) to create “bathroom committees” in the Hartford, New Haven and Stamford regions. The committees will map out and review all current and potential access to bathrooms, many of which could be inside local businesses that are along bus routes. Drivers will soon be able to file anonymous bathroom-related complaints to management, according to the union. CT Transit managers will also be mindful of these bathroom challenges when considering disciplinary action for any related policy violations. "It's important that drivers feel comfortable on the road when they're driving, make sure they can be alert and safe, and it also needs to be good places where it won't interfere with the schedules to affect our passengers and our customers' experience as well," Pouliot said.